Wherever you’re coming from, Omaha is a great place to put down roots. It’s a safe, affordable place to work, play, and raise a family. The city of Omaha is part of the larger Omaha-Council Bluffs metropolitan area. This area encompasses eight counties (five in Nebraska, three in Iowa). Growth is booming; the metro area’s population grew from 400,000 in 1940 to 750,000 in 2000 and reached nearly 900,000 in 2014. According to forecasters, the population should reach at least one million residents by 2023. Omaha has four distinct seasons. Summers are very warm, frequently reaching into the 90s and less commonly into the 100s; July averages 76.7°F. Summer also brings moderate to high humidity and frequent thunderstorms. During winter, the average seasonal snowfall is 28.7 inches, and the January daily average temperature is 23.5°F (low temperatures reach 0°F on an average of 11 days annually and occasionally dipping much lower). 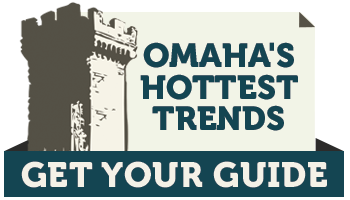 Based on 30-year temperature averages obtained from NOAA‘s National Climatic Data Center for the months of December, January and February (as of 2014), Weather Channel ranked Omaha the 5th coldest major U.S. city. There are an average of 2 tornados per year, with most occurring during the summer (especially in June). Omaha’s terrain is fairly flat. It is built on the bank of the river and in the Missouri River Valley. The metro area has a number of lakes and rivers, including Lake Manawa, Papillion Creek, Carter Lake, Platte River and the Glenn Cunningham Lake. East Omaha sits on a flood plain west of the Missouri River. Omaha has a thriving, diverse economy and is very affordable. A growing economy. The economy of the Omaha metro area is both strong and spread out among numerous industries. Around 40 percent of the total employment in the metro area is in the service sector; tourism is a very important part of the economic development of the area. There is also significant continued telecommunications industry growth; Omaha was one of the first U.S. cities to create a comprehensive fiber optic network, earning it the nickname “telecommunications capital of the country.” Other important area industries include transportation, food processing, insurance (more than 30 insurance companies call Omaha home), and healthcare. Five companies are included in the Fortune 500: Berkshire Hathaway; ConAgra Foods; Kiewit Corporation (one of the world’s largest construction companies); Mutual of Omaha; and Union Pacific Corporation (the largest US railroad operator). Omaha’s average yearly job growth between 2014-2016 was a healthy 2.8%. Affordable housing. Housing is both very affordable at all price points and styles, ranging from contemporary loft condominiums downtown to spacious multi-level homes in charming suburban communities. Omaha real estate market trends showed an increase of $37,000 (25%) in median home sales last year, and property values are also rising steadily. In fact, the Omaha housing market has seen home values rise for three consecutive years; the median home value in Omaha is now about $147,000, compared to the national average of around $208,000. Real estate in the Omaha metro area is more affordable than in most markets across the country while its value is increasing, making Omaha a great place to purchase a home or build your own custom home. Low cost-of-living. While the median salary for the area is $51,400, just shy of the national median of $51,900, the cost of living is 12% less than the national average. Homeowners in the area spend about 6.6 percent of their income on monthly mortgage payments, compared to the national average of 15.1 percent. Omaha has a friendly, small-town feel with all the conveniences of modern urban living. Great place to live. Whatever your stage of life, Omaha is city full of opportunity and community support. Forbes has recognized Omaha as #7 on its list of best metropolitan areas to raise a family and ranked it #3 on its list of best cities for urban professionals. Communities in the metro area are centered around schools, parks, and natural elements, and are renowned for top-notch health care. Things to do and see. The Omaha Zoo is one of the most prestigious in the world, and the Lauritzen Botanical Gardens cover 100 blooming acres of land. Downtown, the Old Market neighborhood has shops, restaurants, bars, and art galleries with brick-paved streets, turn-of-the-century charm, and horse-drawn carriages. Good infrastructure. There’s a saying in Omaha that it takes 20 minutes to get to everything, that is, that everything is pretty much right around the corner. The infrastructure is centered around a simple grid, so it’s easy to navigate, and there isn’t a lot of traffic congestion. Eppley Airfield serves over 4 million passengers each year, with over 200 flights arriving and departing daily; Omaha’s central location means short flying times to virtually anywhere in the country. As the Omaha metro area grows, it attracts more and more “big city” amenities. Many internationally known entertainment acts, performers, and touring productions stop in Omaha, and across the river, Council Bluffs offers an array of casinos. Numerous excellent museums dot the region, especially those dedicated to local and natural history. Craft breweries and exciting new restaurants of all cuisines have sprung up, catering to a variety of styles and tastes. Although there are no professional sports teams in the area, the regional college teams and semi-pro sports have followings that approach religious status, and every year in June Omaha hosts the NCAA College World Series (CWS) baseball tournament. We think Omaha is a great place to call home – and we think you will, too.